Varying between organisms, the number of chromosomes, the structures of organised and packaged DNA information, are normally a constant amount, thus allowing for the successful reproduction of a species. However, it may vary greatly even within a certain family. In the present study, conducted by Drs. Valentina Kuznetsova, Victor Krivokhatsky and Gadzhimurad Khabiev, Russian Academy of Sciences, four antlion lacewings species and an owlfly one from two sister families have been examined and their chromosome number estimated. The paper, published in the open-access journal ZooKeys, shows some patterns within the genera and suggests their common origin. The chromosome numbers of four antlion species (Myrmeleontidae) and an owlfly one (Ascalaphidae) from the Republic of Dagestan have been investigated in the Zoological Institute, Russian Academy of Sciences, St. Petersburg. When the data of the Myrmeleontoid lacewings were analyzed, some patterns emerged. It appears that the chromosome number is a preferential feature of the genera and few deviated from the modal value within the subfamily. While most antlions possess lower chromosome numbers, 2n = 14 and 2n = 16, which are encountered in all subfamilies, there is the exception of the Palparinae subfamily with the studied Palpares libelluloides species' chromosome number counting 2n = 26. The higher numbers, 2n = 22, 20 and 18, are also characteristic of the sister owlfly family Ascalaphidae. Since Palparinae lacewings represent one of basal phylogenetic lineage of the Myrmeleontidae, it is hypothesized that higher chromosome numbers are ancestral for antlions. The antlion subfamily along with the owlfly family have been registered with the the maximal modal values and have also been regarded as archaic taxa in relation to the rest of their close relatives. The higher chromosome numbers were inherited from the common ancestor of Myrmeleontidae + Ascalaphidae. 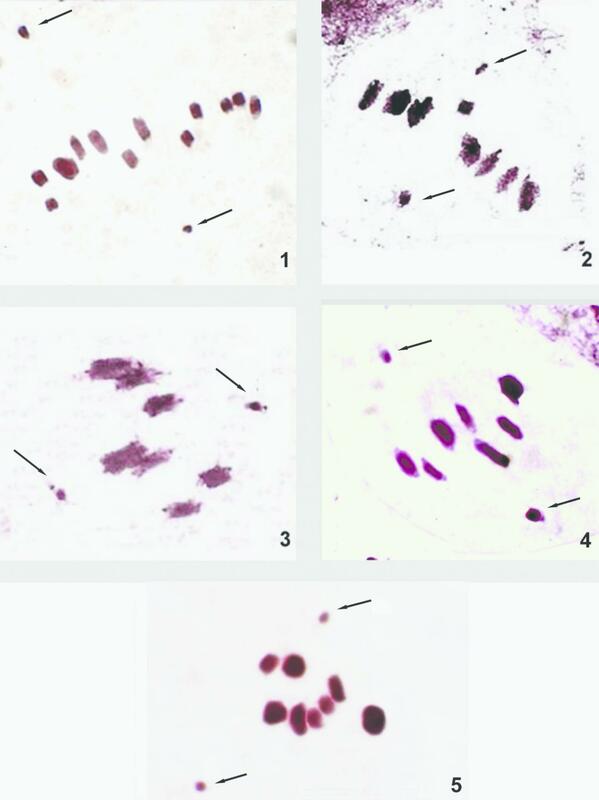 It was preserved in the subfamily Palparinae (Myrmeleontidae) but changed via chromosomal fusions toward lower numbers, 2n = 18, 16 and 14, in other subfamilies.